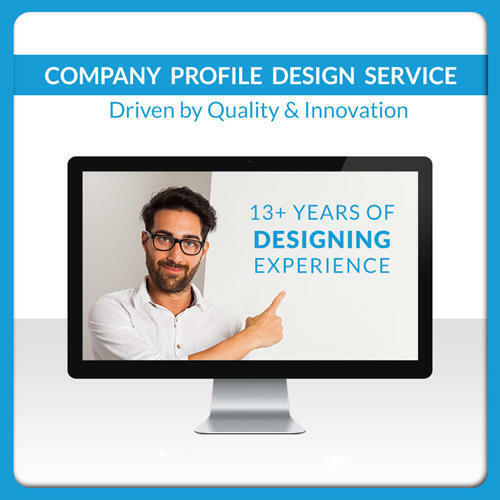 A PRESENTATION DESIGN AGENCY DRIVEN BY QUALITY AND INNOVATION 13+ years of design experience, 8800+ Presentation Designed. We believe and work towards the uniqueness of an idea, engage consumers, communicate brand culture, and opening the gateway to higher revenues. Through collaboration and in-depth consultation, we deliver expert LOGO DESIGNING, BRANDING, PRESENTATION DESIGNING, PACKAGING DESIGNING, PHOTOGRAPHY, CATALOGUE & BROCHURE, ADVERTISING DESIGN, PROMOTIONAL VIDEOS PRODUCTION, WEBSITE DESIGN & DEVELOPMENT SERVICES & CONTENT WRITING to help Businesses achieve their potential in a cost-effective manner that offers a good ROI (Return On Investment) and an enhanced brand equity. Our young and energetic team’s unique approach to brands and their market distinguishes us from the rest. We believe the key lies in understanding people, brands and being creative enough to make people stand up and take notice. Generating an out-of-the-box idea and executing it accurately is our expertise. Our team ensures that your brand is seamlessly merged across relevant media. And well, in a cost-effective manner that offers a good ROI (Return On Investment) and an enhanced brand equity.